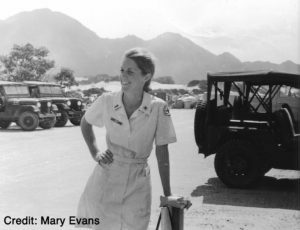 In our seventh edition of the Donut Dollie Detail, Mary de la Forest-Evans tells about her time serving in Vietnam, why the lure of travel and wanting to go “where all the action is” sealed the Donut Dollie deal for her, and how her “Wheels” program was not only fun, but bloody, due to the soldier’s competitive spirit. 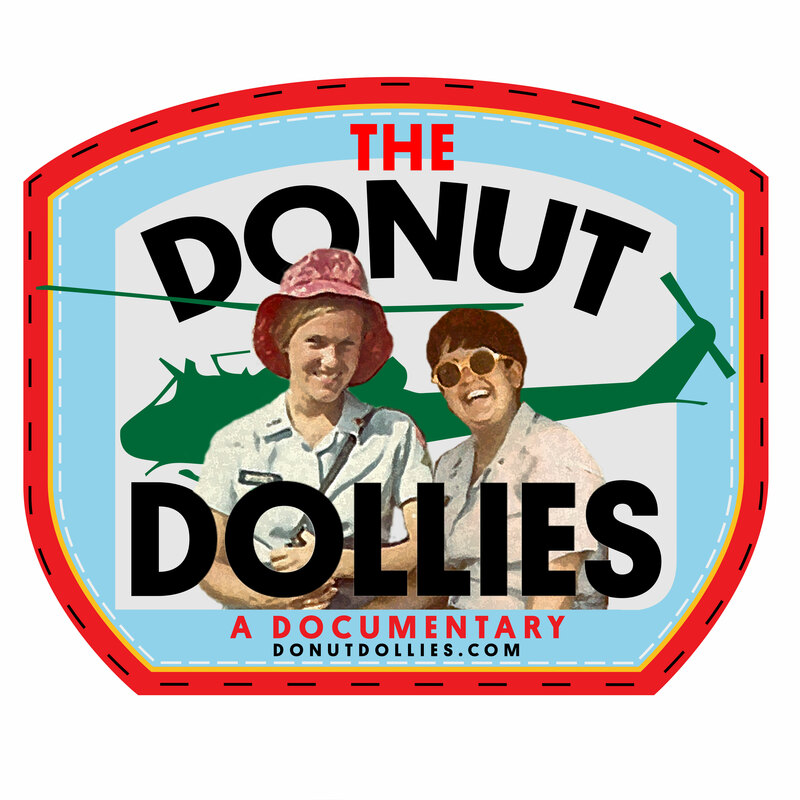 Please share the Donut Dollie Detail with family, friends and veterans you may know, and make sure to like/follow us on Facebook to learn when the next edition is posted. You can also share your email address with us at list@donutdollies.com for updates on the upcoming release of the Donut Dollies Documentary (we will not share/sell your email and will only use it for Donut Dollie related updates). What prompted you to join the SRAO (Supplemental Recreation Activities Overseas) and want to go to Vietnam? I joined the Red Cross as much for my desire to travel as for patriotic motives. I had spent my junior year in Paris and travelled extensively in Europe. I knew I wanted to travel more and not have my dear parents foot the bill. I knew the Red Cross was international. I telephoned the San Francisco office and said, “Hello, my name is Mary de la Forest. I am 23 years old and I have a degree in French. Do you have opportunities abroad?” I was invited in and six weeks later I was on my way to D.C. for orientation. When asked if I had a preference for Vietnam or Korea I immediately replied “Vietnam – that is where all the action is.” I have no idea why I said that! I was stationed in Vietnam June 1968 to February 1969. My tour was cut short as my father died suddenly. I was stationed in Cam Ranh Bay in a support zone. I had no nickname and was known as Mary. Very busy. We were always on the go. Each girl in my unit had 6 weeks to prepare a program to take on the road. All the prep work was done at night at one of the two rec centers (quonset huts). My last program was called “Wheels” and I was very proud of it. 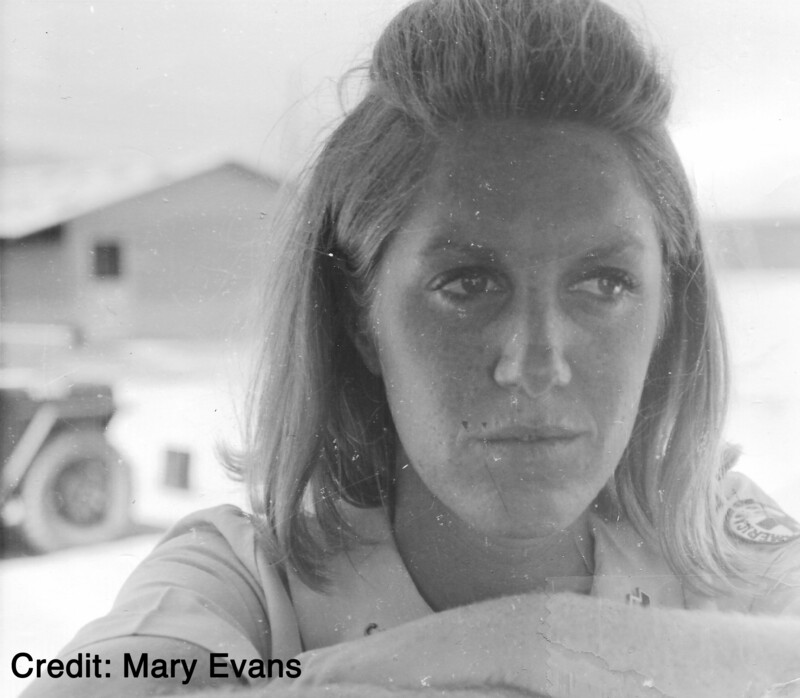 The soldiers who came to the centers at night always helped create the programs to take to the troops in the field. They were designed to last 50 minutes and take their minds of the war. Programs covered a wide range of topics and consisted of three activities: a warm-up exercise, a main activity and a closing activity. 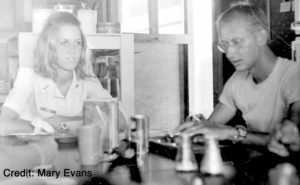 We travelled in pairs by chopper, jeep or truck and usually made 7 stops a day. The fellows were usually already divided in teams upon our arrival. The activities were competitive. Some programs were really fun and others not so, but we always put our best foot forward. We had to take each other’s programs out. What amazed me, and I imagine the other women had the same experience, was how creative one became with limited resources. There was no art supply store to create props for our programs. There was a PX but no shops to purchase materials. But somehow when we needed something it would appear. For example I wanted bright blue paint for the slam board I was making for the main activity of my last program. Some soldier came up with it for me. Also someone came up with heavy poster board type paper for the warm up activity (this consisted of license plates with the state name on the front – the troops had to guess the state logo – answer on the back). On every outing we carried a large (3′ by 4′) army green canvas bag containing our props. The troops who came to the centers a night helped make the props and were a huge help -at least in my case- in creating the programs. My main activity on “Wheels” was about the Indy 500. We had auto magazines in the centers. I had two nails on my slam board and cartoon type cut outs of autos pasted on the board. We, I and the troops in the center, made up questions about the Indy 500 and put the answers on small, heavyduty paper discs. When we arrive at a stop often the men were already arranged in teams – there could be anywhere from 10 to 30 troops at a stop. Each team got a set of discs. They would charge up to the same board when they knew the answer and slap the disc on the nail. Whichever team had the most correct answers on the nail was the winner. It got a little wild at time – even once as I recall – a little bloody! It did take their minds off things for a brief while. Other programs I remember taking out were on Astrology (remember in those days everyone wanted to know “what is your sign?”), English Lit., etc. I was in charge of refreshment for the centers. I got to know all the mess sergeants in Cam Ranh and they were great. Mainly provided cakes and Kool Aid. Once in awhile I was given a case of lobster tails or steak to take back to my trailer and share! A super treat! Once a week two of us would fly to Da Lat to put on a program for our troops. Da Lat was the R&R base for the South Vietnamese troops. The hours were long and we worked hard. We often rose at 3 or 4 AM to hand out donuts to the troops heading out in convoys. It wasn’t always hard work. We had fun too. I sat on top of a fire truck and watched the Bob Hope show. We were invited to the Officer’s Club at Navy Market time. And I remember being invited to tour and dine on an aircraft carrier. I also recently played a tape that I had sent to my parents. I had never heard it before. I was shocked and have no recollection of waterskiing on Tiger Lake. I sounded happy. In Cam Ranh we were probably safer than anyone. I remember being a little nervous when the MPs picked us up at the center that was several miles from our compound. We were open to 10PM. Driving along the bay at night with flares shooting up across the water was a bit unnerving. Also flying in the choppers seated between two soldiers with machine guns and open doors was an experience. All in all I was very safe. Again, the hospital I visited was a Quonset hut. I remember writing letters for some of the patients. I was only 23 and most of the fellows were 18 and 19 years old. It was hard to look at some who were seriously wounded but we all carried on professionally. I went home because my father died suddenly. When I left I said I would be back at the end of my 30-day emergency leave. Sadly, I think I needed my mother at that time as much as she needed me. I started commuting to San Francisco (50 miles each way) and was working for the ARC at Letterman General Hospital as a Rec therapist. I still got to work for the men I respected so much. That for the most part we were there to serve and support and that is what the majority of us did. There were a few rotten apples in the barrel, but for the most part the women I met and became close to were outstanding, modest, fun loving and very hard working. The troops were always respectful and appreciative. Most express appreciation. 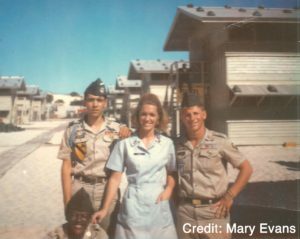 I have only had one unhappy vet who expressed anger toward me because I was a Donut Dollie and while he was in Vietnam he said the Donut Dollies charged for a donut. I know that was not the case in my unit. What were your fondest or most interesting memories of your time serving in Vietnam? Definitely, the people I met. Some of the soldiers visited me in California after I returned. They were friends and I will never forget them. Also, the country itself is one of the prettiest places on the planet. Vietnam was so luscious. I always imagined what a spectacular resort country it could be and I guess that is what it is today. My son visited Cam Ranh 4 years ago. He loved the country. I would love a chance to revisit.